Simply put, the cloud is a disruptor — in good and bad ways. On the good side, companies are saving money and time as they move away from on-prem systems. On the bad side, companies aren’t just ditching physical hardware, but also the IT pros in charge of running them. The number of data centers worldwide peaked in 2015 at 8.55 million. By 2021, it’s expected to drop to 7.2 million — a 15 percent decrease. The cloud is the driving factor behind the decline of the data center. Exchange is a great example. Email has been hosted onsite since the beginning of Unix time. (Actually, Tomlinson sent the first email the year after Unix time began.) These popular legacy programs are still valued by the enterprise — they’re now all just based on the cloud. Active Directory in the data center is now Azure AD. Dynamics on a server in the rack is now Dynamics 365. Exchange is now Exchange Online. With the cloud on their side, their infrastructures don’t need housing in data centers. As a result, the number of people needed to manage servers, storage, and networks is decreasing. Organizations aren’t building their own data centers, anymore. According to a Gartner report, 35 percent of IT resources will be devoted to operations by 2020. That’s down from 70 percent in 2012. But, private enterprise data centers aren’t dead yet. They’re merely becoming less popular. They are costly and cumbersome. And the reality is fewer data centers means less data center roles needed. Cloud computing has reduced the need for hands-on administration. The word “software” is becoming an archaic word even as many companies essentially turn into technology companies. SaaS needs no installation, no servers to maintain, no deploying said servers, and no VPNs to work remotely. This doesn’t necessarily mean that Sysadmins and Network Administrators are going away. It merely means that the skill sets for these positions are changing. New positions that focus on business development are evolving. (Yes, business development.) Organizations need different types of professionals with hybrid IT and business skills. Like cloud architects. Managing security in the cloud. As you can see, cloud architects need both business and IT skills to be successful. And they are in demand. A recent RightScale report found the number of cloud architect jobs grew to 61 percent, up from 56 percent in 2017. Traditional data center jobs are also evolving into more specialized roles. For example, companies that leave data centers for the cloud still need Infrastructure-as-a-Service specialists. DevOps is another area that data center jobs can transition into because of the blend of traditional IT operations and software development. 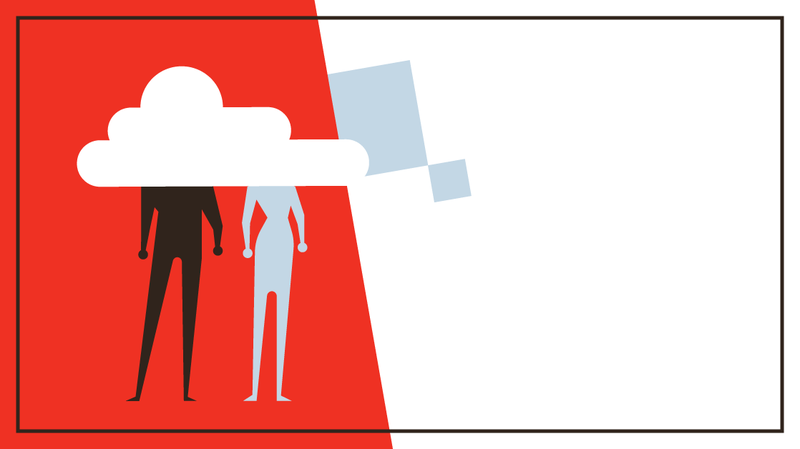 The cloud has increased the need for roles that combine IT and business skills. As a result, the demand for traditional enterprise data centers roles has decreased. The cloud may be shaking up data center infrastructure. But not all is lost for those working in the data center. Jobs still exist working on mainframes and programming, but they are few and far between. Racking and configuring servers will continue to exist for quite some time. But data center workers shouldn’t wait around. They need to be proactive about their futures. They should add the cloud to their skill set. As organizations use the cloud more, IT professionals need to be skilled enough to deal with what comes their way. Plus, they might find it a surprisingly smooth transition. FRG Technology Consulting manager Sam Samarasekera says that many data center skills are transferable to cloud roles. “If your business uses a Microsoft Azure server, technicians who have experience of working with a similar [on-premises] product, such as Windows Server, will have the necessary transferable skills to perform the actions required with sufficient training and a willingness to learn, and this is where I see the majority of data center staff ending up,” Samarasekera said. And because we’re talking cloud, DevOps is currently a super in-demand career. SaaS requires a new philosophy around software, development, cloud infrastructure, deployment, and integration. DevOps hits all those. IT will keep growing and changing. Some IT pros will be left behind, some will hold their ground, and some will find their niche. Enterprise data centers are becoming relics of the past, but that doesn’t mean IT pros will become extinct. It’s all about keeping ahead of the curve and shifting gears.